Since Projects Abroad started in 1992 we have had over 28,000 volunteers travel with us around the globe. It is inevitable that there are a few stories to tell. Recently it came to light that a few Projects Abroad volunteers have done a bit more than sending a few postcards, emails or setting up a blog. The very first volunteer with Projects Abroad in Guadalajara, Mexico was Jenny Hoggar. Jenny writing under her maiden name Jenny McCombe wrote a book about her travels including her time with Projects Abroad. This is titled “Grandmother’s Footsteps”. It gives an insight into how Jenny settled into traveling and working alongside other volunteers. Although out of print it is available on Amazon. A more recent offering is from an Australian volunteer, Tobin Cuss who volunteered as a teacher in Ghana in the summer of 2009. 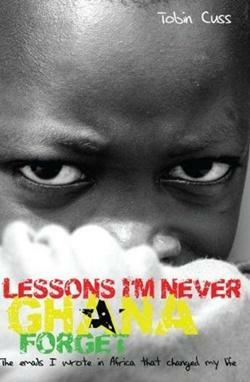 The unusual title “Lessons I’m never Ghana forget” is an interesting insight into life in Ghana as a volunteer. Alongside the text are some great pictures. If you want to find out more about Ghana or Mexico why not get a taster from Jenny or Tobin about life as a Projects Abroad volunteer.